Hey, thanks for stopping by. If what brought you to my corner of the internet was a nagging desire to try something different (and I’m not just talking zoodles different), you’ve come to the right place. I’m talking about when you take a deep breath, tell your fears to step off and do what you always say you want to do but don’t. The kind of different where everyone you know thinks you’re nuts and some even feel bold enough to tell you. The kind where you may even believe them in the back of your mind, but you proceed anyway. I had that same desire as I stepped on a plane in 2017 with my mom, twin toddlers and one-way tickets to Southeast Asia to join my husband and become a trailing spouse. Before moving overseas, I was excelling at a career I had been working at since college. We had a home to call our own. By most standards, we were living the American dream. We also barely saw our kids, and the road ahead looked intensely competitive and highly expensive. The burnout was looming large. Since making that fateful decision, I have been exploring new surroundings, people, customs, food, emotions – you name it. It has been a chance for me to consider the bounds of what’s possible each day. Alongside these personal discoveries, I have grappled with maintaining a connection with the people we left behind, who I miss dearly. I also struggle at times with the everyday things I became accustomed to in America that I don’t have here in Asia – like driving my SUV to buy iced coffee on the way to work, or the convenience of online shopping services like Fresh Direct, Stitch Fix and Winc (I could go on). I must admit that it has also not been as easy as I anticipated to adjust to life as a stay-at-home mom despite the gratitude I feel for this opportunity to spend this time with my girls. It has motivated me to look at my career through a different lens and look for new challenges. 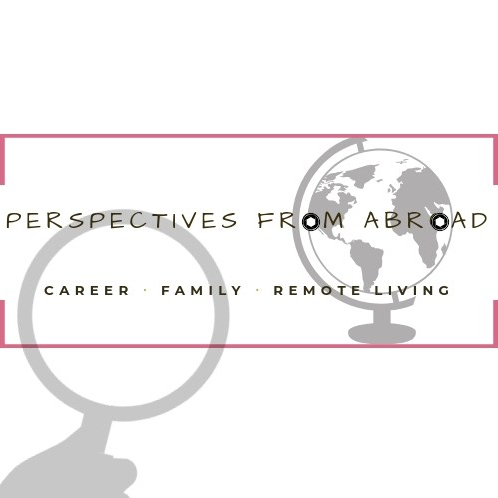 I started Perspectives from Abroad to show people that doing something different with their lives isn’t always as scary as it seems – and can even be a fulfilling and joyous chapter. Even if its harder to get a decent bagel or find a hairdresser, there’s so much upside that comes with diverging at the fork in the road. If this blog gives you the confidence to go after a dream you’ve been too afraid to pursue, then sharing my experiences will be so worth it. Oh, I also hope you enjoy laughing with (at) me through all the hijinks along the way.